Dr. Casey graduated from Logan College of Chiropractic in 1991. He associated with Dr. Kyle D. Remmel and Associates in St. Petersburg, Florida before returning to Pittsburgh. 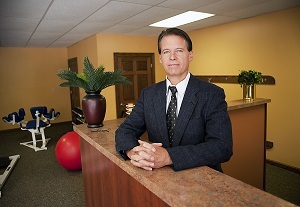 He opened his North side practice in the summer of 1993 and his Bethel Park office in the fall of 1994. Since that time The office has served over 6000 patients. Dr. Casey believes in an active, healthy lifestyle. He has over 600 skydives to his credit and holds a 2nd Dan ranking in the International Tang Soo Do Federation, SCUBA dives and is an avid Trap shooter. He resides in the South Hills with his wife Kimberly and their 3 children.